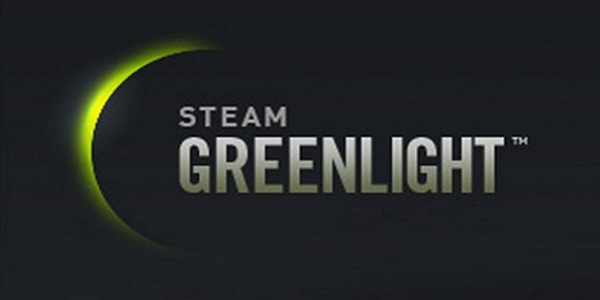 Welcome to Adam Versus Steam Greenlight volume 6. This is my mostly-monthly feature where I pull three random games out of my Steam Greenlight queue, and decide if I would pay cold hard cash for them were they to appear on Steam. This month I take a look at the point and click puzzle game Green Moon, a stealth platformer called Interference, and an RTS/Tower Defense game called Creeper World 3. Let’s do this thing. Here’s how Green Moon describes itself. Prepare to go on a fantastic journey which will take you from damp prehistoric forests, to the sultry deserts of ancient Egypt, to dirty Wild West saloons, and luxurious medieval castles! Green Moon is a Hidden Object Adventure game like no other, combining science with magic and reality with mysticism. Travel to a unique world full of mystery and exciting opportunities as you learn ancient and timeless secrets! Two exclamation points in three sentences might be over selling things. Also, I’m not sure if medieval castles were ever “luxurious,” at least not in Europe. I suppose the copy could be referring to luxurious castles of Byzantium. Nit picking aside, I’m also detecting quite a few generic video game buzzwords in this description. “Combining science with magic and reality with mysticism.” So we going to be learning alchemy from Henry VIII on a quest to save Kabbalah? Verdict: Here I thought shamelessly ripping off Myst and The Journeyman Project went out of fashion 15 years ago. Pass. Interference is a 2D stealth puzzle platformer set in a cyberpunk/technoir world. – Join the Interferers, the underground organization that’s been labeled cyberterrorists by the totalitarian government. – Venture into the guts of Arachnopolis, a high-tech labyrinthine city. – Alter the city’s architecture in order to overcome challenges and progress through the game. That’s not exactly breaking new grounds in terms of genre or setting. If there was some free running and a female protagonist in the mix, Interference would sound a lot like Mirror’s Edge. Though I will admit to some curiosity about the ability to change the city’s architecture. Let’s see what the trailer has in store. Okay, this looks objectively cool. The game play appears to be along the lines of Mark of the Ninja. Even though the visuals are a little minimalistic, they evoke a something of a Tron-like sensibility. Granted, the Daft Punk reminiscent music could also be putting me in a Tron mindset. As a show piece for the trailer, the shifting platforms look interesting enough. I would hope that the final product offers some more complex problem solving. Verdict: I don’t know that Interference is poised to set a new gold standard in cyberpunk storytelling, but it gives every indication of being a fun and visually appealing game. Buy. Creeper World 3? I didn’t even know there was a Creeper World 1 and 2. Creeper World 3 is what happens when cellular automata takes over a strategy simulation. Instead of discreet units that attack your base, a fluid-like substance spreads over the terraformable terrain. Your base, your weapons, your strategy… you must adapt them all. Does this mean I am fighting the blob? It sounds like I am fighting the blob. The concept does make Creeper World 3 stand apart from garden variety tower defence games. However, its claim to uniqueness suggests there won’t be a lot of variety in the game play i.e. stop the blob from overrunning your position, rinse, repeat. Even with user generated content, I don’t get the feeling that this is the sort of game that would hold my attention for more than a couple of hours. Nor is the promise of an internal scripting language a particular selling point for me, either. And unless the game editor has a great deal of depth, I don’t see how the user generated material will be anything more than variations on the pre-programmed themes. Verdict: While there’s probably a market for this game, I’m almost certain I’m not within its target demographic. Pass. One out of three, not the best month for Adam versus Steam Greenlight, but not the worst either. Perhaps, I’ll have better luck next time. I found this article on a Google of Creeper World 3. I must say, it seems you read some stuff and then made up your mind. It does not seem that you played it at all. For the previous 2 games, there are maybe 8-9,000 custom maps (I know there is at least 6,000 for CW1 and a few thousand more for CW2). SOme are just slog fests, but map makes have been incredibly clever in making puzzle maps and other types of challenges. I think before you write off a game you may want to try it. If you are a real reviewer, you can email Virgil and he will maybe send you a review copy of the game. If so, try the maps, Meso, Farbor and Arca as well as the Credits mission to get a feel for some of the differences in what can be done. Perhaps you’ve missed the point of what I’m doing with this piece and the five that came before it. The express purpose of Adam versus Steam Greenlight is that I haven’t played the game. I pull a random title out of the queue, read its description, watch the trailer, and then answer Steam Greenlight’s essential question: would I buy the game if it were on Steam. In the case of Creeper World, no I wouldn’t. It doesn’t look like my cup of tea. Yes, I have some referencing a fifty year old movie, but I don’t slander the game or its developer. And as a critic who attempts to adhere to John Updike’s rules for criticism, I would’t bother emailing the developer for a review copy of a game that I don’t think I would enjoy.